It is in the ignorance of evil that you cause it to grow. Please read this message and the next ones in the following spirit and context. On September 9, 2001 our whole planet woke up to a nightmarish reality/scenario. A gigantic tsunami of dark fear propelled mass consciousness into a state of acute anxiety. We are reproducing here the original postings that originated from our academy and they are to remain as a testimony to the inner possibilities that we have as mankind to overcome fear and embrace Love. Many new and even more acute waves of fear-generating situations are potentially about to be unleashed upon our planet. They will involve grave geopolitical, financial, economic and the ultimate potential horror of global ecological collapse. The same thought process that is shown in these messages can and should be applied throughout the next decade in order to gift us the possibility of surviving these times with Grace, sanity, and embrace the new upcoming era that will then be birthed: a time of Eternal peace and unprecedented happiness. May we all witness its dawn! Dear friends, because of the seriousness of the recent terrorist events which we have experienced, some of our teams have been activated and mobilized on a 24hr basis to help friendly intelligence services with assessing and completing some information they have about next possible targets of Middle Eastern terrorism. We have accepted, pro bono. The situation is grave. Many attempts will hopefully be pre-empted and foiled. This assault by dark forces against free-will is unprecedented in our recent history. We all need to elevate ourselves in vibratory levels, and never relinquish to terror/fear and its low vibration hum. As we are called at the most unusual hours to enter R.V. states or supervise and analyze inf. This does take a heavy toll on some of us. We do count on your support and your prayers for world peace, happiness, and sanity. Please listen to your inner gut feeling before going to any meeting, place of work or using any form of transportation. If you get a wrenched bad feeling about being somewhere at a particular time. DO NOT go there. Better safe than sorry. Our first RV course, especially tape 2A and 2B will help you stay very connected to your HS, who knows the probable futures in advance (intuition). Please practice with the original RV course and ask for Divine protection and guidance. Always project the energy of love and a lack of fear around you. Do not get immersed in the alarmist reports constantly broadcast by news organizations for they energized the very force that needs to be deenergized, so that it finally finds no safe harbor on earth and within anyone’s heart. We truly believe that if the individuals that boarded the hijacked planes and/or went to work on September 11 at the Twin towers and the pentagon had taken our training and learned to listen to the little voice inside, a great deal of them would have avoided tragedy by either canceling their flight or not showing up for work that day. In contrast to other RV methodologies that have flourished in the past 15 years, the emphasis of our training protocol is on being very connected at all times and on-line to one’s Higher Self who knows the probable futures of the individual it takes care of, and to learn to listen to this divine intuitive guidance system and have full trust in its wisdom. Our training does not require any external exotic gadgetry, special setting, or external human monitor. We have never stressed the need for the average individual to spy on Remote Sites which is of little practical help, even though this is easily accomplished with our course, but much rather on reading the probable future. Hence the success we have had in the last years on giving out warnings, when needed, about events that then manifested themselves, and the positive feedbacks we have received from so many trainees. Our methods originated from the need to train individuals to intuit on-line potential violent activities directed at them or society in general. In these troubled times, being highly connected to Source is capital. This RV course and especially the Remote Influencing course following it are, in our humble opinion, crucial to all of you. Integrate them well. These are literally survival tools made available during these crucial times in Creation for a very important purpose. Once learned, they become an inherent part of one’s mental operation and gestalt. We will post in the next day or so, a message received from the deep Delta level addressed to the free world. Pay attention to it. Happy thoughts and peaceful manifestations! Pray for the inner and outer peace of this world. This is Gerald O’Donnell. Yesterday, the US Government made an official announcement for the second time in weeks regarding a heightened state of alert and preparative measures that the US is taking in response to perceived threats of terror attacks that could potentially be unleashed against this country in the upcoming weeks by Middle-Eastern terror networks. No further details was unfortunately given, and we feel that all this does is only increase again the level of fear, sense of impotency, and heightened anxiety that the general population is already experiencing as they go about their regular lives trying to keep a semblance of normalcy. We are not parts of the decision or advisory arm of this Government, nevertheless we truly humbly feel that putting the citizenry in a vague and acute sense of fear, and not empowering them with the ability to participate in the sharing and prevention of terrorist attempts is unproductive and shows somehow a lack of trust in the tremendous capacity of observation and intuition that such a a large and concerned population could exercise, were they given more instructions as to what to look for. It really somehow baffles us as to why this has not been the case yet here. Countries such as Israel and many Western European countries where terrorism has been a constant plague for decades often issue general directives to the population to be on the look-out for signs of terrorists activities, such as watching for abandoned bags, cars, button-sized anti-personnel mines, and unusually nervous individuals. A special centralized phone number is provided to all to collect the reports of all suspicious activities to special antiterrorist police units who are on a 24hr rapid deployment alert. As I already stated somewhere else, crossing any busy intersection, driving a car, of flying an airplane should not arouse undue anxiety if someone is well informed to be on the lookout for signs of potential danger and understands how to avoid them. The entire Western world has entered sadly a new violent phase that will eventually in the next 10-15 years be overcome and bring about a beautiful new Creation, Nevertheless, our old world , as we knew it, will never be the same again. 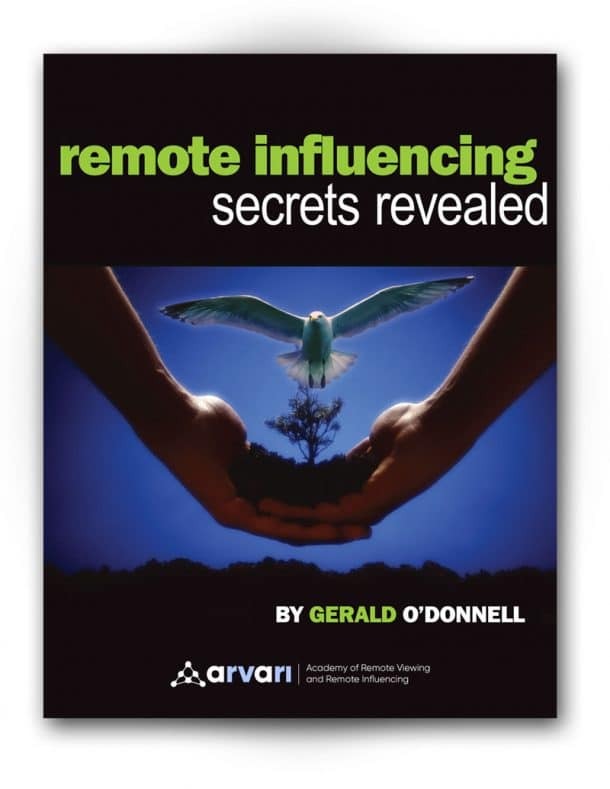 In the last two months, after having foreseen since January 2001 the events that would unfold, (see New year’s 2001 message from Gerald O’Donnell ) I hastily gathered a team of our best Remote Viewers and we literally went to work on the situation approximately 6-10 hrs per day. This took a great toll upon our nerves and left us quite exhausted after each day’s work. We collected much RV data. Even though I cannot reveal detailed information of what we have learned, let me give you a partial and concise overview of what was discovered, without releasing any operational details. Bear in mind that these are probable futures, snapshots taken at a particular time, that can be avoided and changed, as many were. We Rviewed an attempt to blow up a major port/refinery terminal in the Southern part of the US. We Rviewed an attempt to bring in Anthrax-laced cocaine using a small airplane which could have killed thousands with inhalation anthrax, had it entered the illegal US drug trade. We Rviewed attempts by terrorists to swallow high-explosive using condoms in order to confuse airport security (A trained explosive sniffing dog might nevertheless pick up the sent). We Rviewed an attempt to set up a portable nuclear device in a metropolis ( there are 100+ of these “Portable Nukes” missing from old Soviet Arsenals: See reference). We also performed extensive R. Viewing on some caves where Bin Laden was hiding in November. Bin Laden is ill right now, suffering from a serious kidney condition requiring dialysis. An attempt to bring the International financial system to its knees is being still being investigated. On that subject we will not divulge anything. We Rviewed an attempt to load large pallets laden with a mixture of explosives and either bacteriological, chemical or radiological material aboard small planes. This was to take place in a Southern airport. The airplanes would have flown off and then be used to blackmail the US with the threats of exploding them above major cities. We did forward this information to some old trusted contacts connected to US intelligence. All of this was done pro bono. Truthfully, the vibes became so bad in our environment, as we contacted many of these energies, that our team has since then withdrawn from Remote Viewing these targets. All I can say is that the US law enforcement and Intelligence community seems to be doing a superb job, and that there seems to be heightened protection from very high levels of Divine Light in order to avoid such disasters. By trusting in the power of the One we will easily overcome this Dark attempt at enslaving us in fear, and evolve much in the process. Our RI course was somehow delayed because of these RV sessions. It will nevertheless be improved and adjusted to our times. What you perceive as friends are not necessarily your friends and your enemies might be manipulated. Thread these murky waters carefully. Use RV/RI to stay protected and safe. This is risky business, and I will reveal no more. Happy thoughts and manifestations to you all !